When it comes to lighting a home or even a massive commercial building, LED (light-emitting diode) lighting is the way to go. It is more energy-efficient and durable than older incandescent, fluorescent or other forms of lighting. The most notable reason for LED conversion is for energy-efficiency. On average, LED lights, especially those with ENERGY STAR ratings, use at least 75% less energy than incandescent bulbs. Over time, this will save you a lot of money on electricity consumption. Quite simply, LED bulbs last a lot longer than fluorescent and incandescent bulbs. Statistics suggest the average LED light lasts 25 times longer than incandescent lighting. LED lights are more efficient than traditional bulbs. They emit light in a specific direction, which minimizes the need for reflectors and diffusers. LEDs are great for task lighting and recessed downlights. LED lights are known to emit much less heat. This makes them less likely to burn out and less likely to damage their surroundings or cause a fire hazard. There is a wide variety of LED lighting solutions on the market for residential, industrial and commercial use. No matter what type of lighting you need, there are LED versions you can use for energy savings and durability. Another notable benefit of LED lights is that they make for a more pleasant environment. The light is less harsh, especially when compared to fluorescent lighting. There is rarely any sort of “hum” that will drive you nuts. When your bulbs last longer, you will experience less downtime and less maintenance will be required. This saves time, effort and money for you. If you convert your commercial space into LED lighting, your company could be eligible for rebates from the government or your local utility company. American Electric can tell you any utility rebates you might qualify for in your area. These are just a few of the key benefits of LED lighting. To learn more about LED conversion, contact American Electric today. 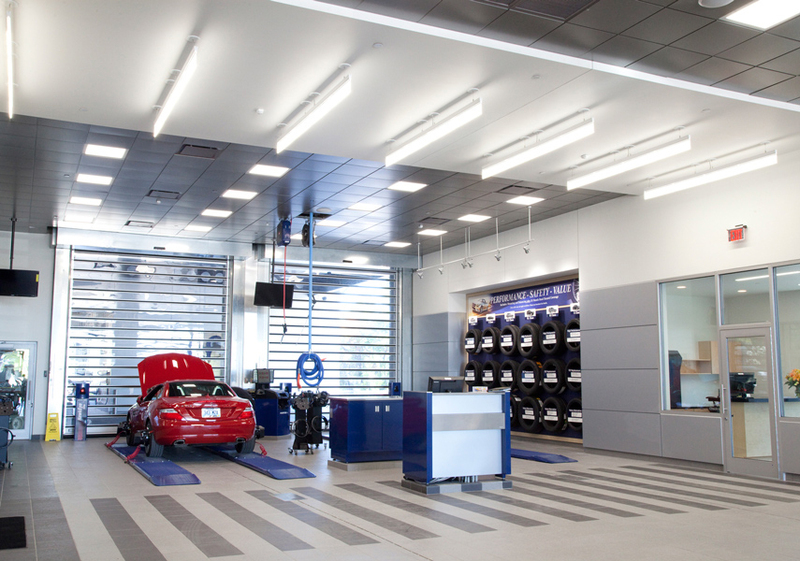 We will help you get the most out of your commercial or residential lighting needs.